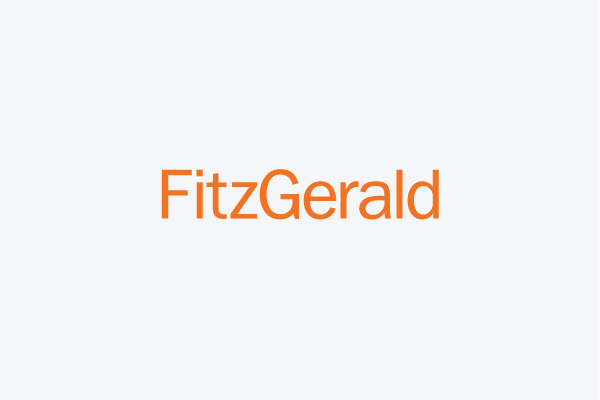 FitzGerald continues to make strides toward maximizing our usage of Revit and BIM with a robust set of standards and specialists who regularly focus on refining and implementing procedures. Revit skill is critical in hiring decisions so new members of our project teams can get up to speed quickly and contribute to our success. With these systems in place, we’re driving toward our goal of 100% use of Revit in new projects including entirely digital presentations and drawing review. Coupled with advanced mobility solutions, we’re able to provide our full suite of services from practically anywhere. Experimentation continues in virtual reality (VR) and our confidence and excitement means investment in hardware, software, and training. 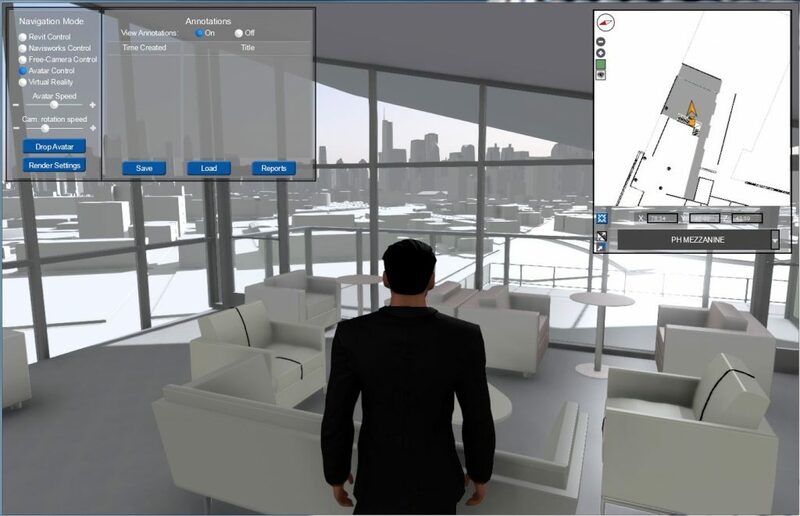 VR applications like Unreal and Stingray provide opportunities to step beyond standard BIM visualizations to better experience spaces, evaluate design options, and convey ideas to a larger audience. The technology means the average observer can visualize a building without having to interpret floor plans, and construction teams can pursue greater efficiency of site logistics and sequencing of work and materials. Creating video game-style avatars can envelop our clients into our virtual designs. More than ever we’re feeling a pull from end users for contemporary design. Developers are taking note, and many neighborhood and suburban community groups have demonstrated acceptance of buildings that are both contemporary and contextual without being imitative. With the right combination of client vision and public support, these new buildings can emerge as interesting pieces of the urban fabric rather than faux-traditional renditions designed to blend in. The amenity arms race is last year’s news, although key developments continue to find new and different offerings that help make news in a crowded market. The million-dollar amenity word is adaptability, though. 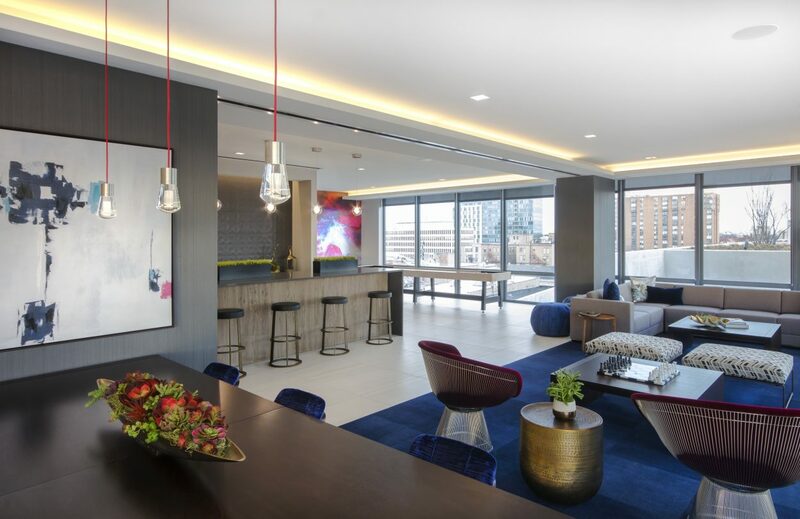 Developers want spaces they can easily convert to other uses when amenity trends shift. We’re designing a lot of common spaces for high-tech hobbies, like video gaming as well as retro arcade rooms that include table games like foosball and ping-pong. The key, though, is configuring these areas so they can be easily re-worked as tastes, and technology, change. Studies show that by 2035, one in three households in the US will be headed by someone 65 and older–representing about 20% of the total population or nearly 80 Million people. Demand is already on the rise among Baby Boomers, but the generation is more active and social than the one before it when they do seek senior-oriented housing. 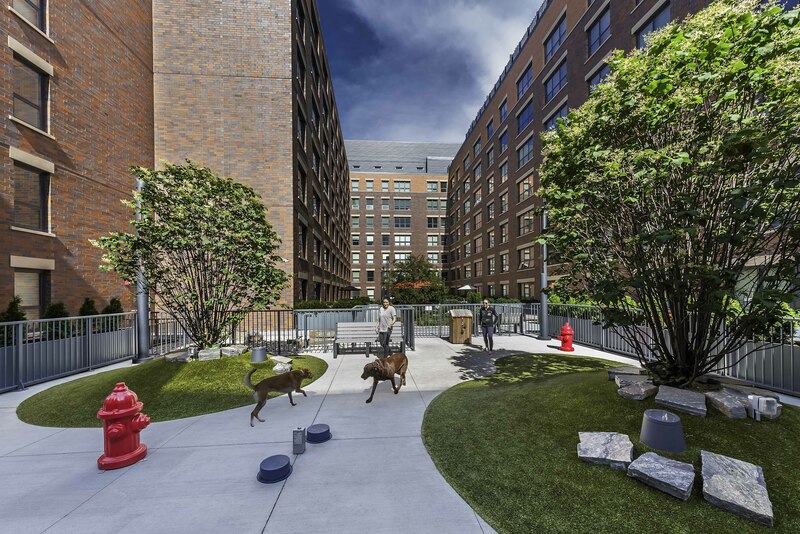 To respond to these needs, developers and operators are paying more attention to fostering a community around their facility–through building design, amenities, and programming. On the new construction front, some savvy developers are calling in our luxury multifamily experience to maximize amenities and provide the feel of high end homes. 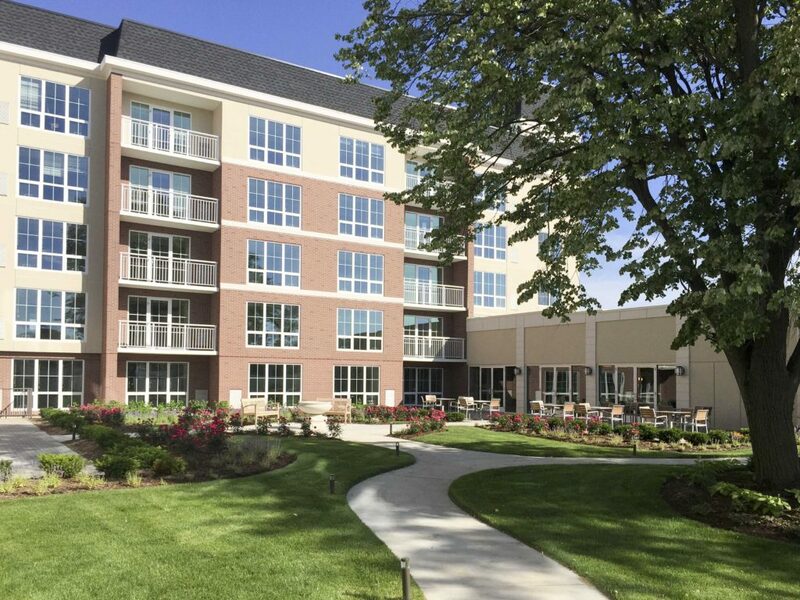 Others look for existing assets to repurpose into senior housing. 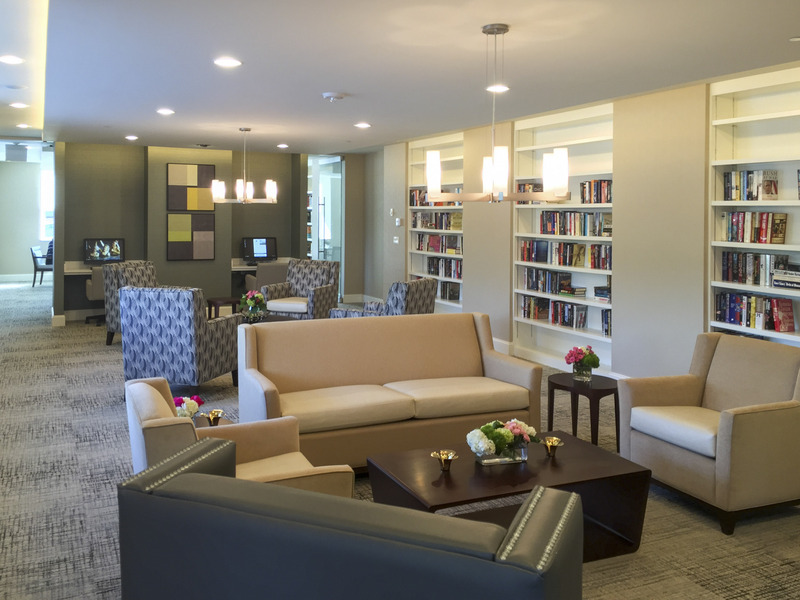 In particular, underutilized hotel properties are great opportunities to convert into senior housing. The footprint of a hotel is very similar to a senior housing community – from the entrance and common areas to the layout of individual units, many of which already include a small kitchen or kitchenette. 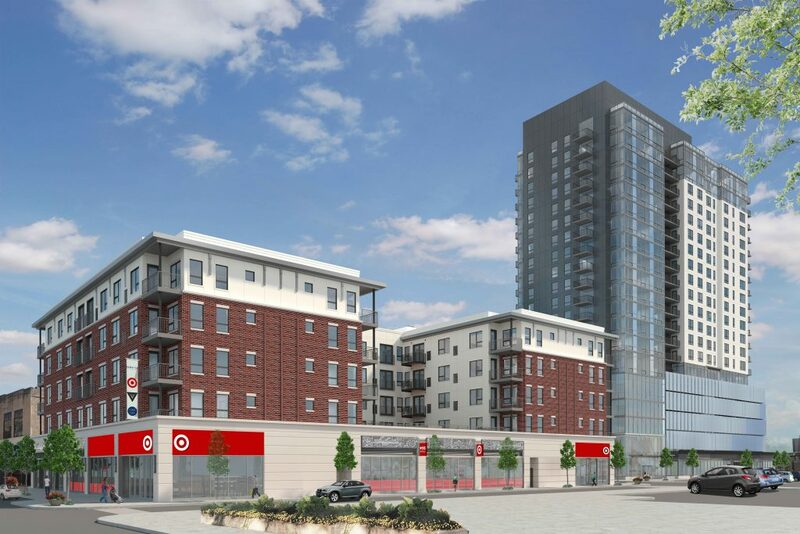 Target has announced a new flexible format store for downtown Oak Park, Illinois in Lennar Multifamily Communities and Clark Street Real Estate’s Elevate Oak Park development. Some retailers continue to work their way out of the market, with the likes of The Limited, Macy’s, Sports Authority, Sears, Walgreens and K-Mart divesting stores, key product lines, or folding entirely. One can easily attribute this to rising costs of brick & mortar and the continued growth of eCommerce, but we’re also keeping an interested eye on those spots where eCommerce is making a play back into physical stores–Amazon’s plans for grocery and bookstores, in particular. Amazon is also driving the market on distribution facilities to support logistics and creatively solve the last-mile problem. We can expect to see more pickup facilities like “Amazon@UIC,” the recent logistics shortcut developed for the University of Illinois at Chicago campus. Trucks can deliver directly from warehouses, offer faster than the already-free home shipping, and recipients go pick up merchandise, thereby reducing the need for home delivery methods and the pressure on multifamily buildings to handle so many deliveries. On the other hand while apparel and department stores struggle, Target continues to show smart growth as they develop their flexible format stores that fit into smaller venues that are more tailored to specific communities. The Flip Side: What Keeps Our Clients Up At Night? Despite new ARO becoming effective, the predicted slowdown has been something of a mixed-result. National developers seem to keep finding large opportunities here, but we’re hearing from local developers that deals are more difficult to pencil out. The expectation remains that land costs will adjust to account for the costs, but the heat of the market seems to have stayed any related decline for now. Some experts expect Interest rates to rise twice in 2017, and according to the December 2016 bulletin by YARDI Matrix, “as borrowing becomes more expensive, investors may lean toward cost-saving initiatives in order to remain competitive.” Still, analysts contend, rising interest rates tend to mean general optimism for economic output, which can benefit and boost the real estate market as long as rate increases are measured and steady. Should rates rise rapidly, property values could suffer and the viability of deals could change significantly. The Wall Street Journal recently reported statistics from Axiometrics that luxury apartment landlords should be bracing for a high supply and the need for deep concessions. Here in Chicago we’re expecting 4,500 units downtown in 2017 and another 4,200 in 2018. If job growth in the Loop, West Loop, and River North can continue to grow, demand could keep young professional tenants coming in the door. Enjoy your millennial tenants while they last: some demographers are calling the group “crested” now as many are “aging from their 20s into the more traditionally suburban child-raising years,” reports the New York Times. Sources tell us construction cost inflation is forecast at 4-5% per annum for the foreseeable future in large scale multi-unit development. Coupled with increased property taxes, these factors can mean added pressure on investor-led development. What do you have your eye on as we head into 2017? We’d love to hear what trends you think will shape the work we all do. Tweet us at @FitzArch, or connect with us on Facebook or LinkedIn.